There are many types of fabrics which have a long historical background and are still associated to certain people or ancient clans. Most famous of such fabrics are tartans and plaids. These two types of fabrics are linked to the Scottish clans of medieval period but are still used as traditional clothing. Tartans and plaids have become interchangeable these days but there are certain differences which distinguish them from one another. Normally, plaids are considered the blankets or specific cloaks which Scottish people wear as kilts, whilst tartans is said to be a Scottish family clan. Tartan is a pattern of criss-cross horizontal and vertical bands of multiple colours, originally being woven from wool but is available in many other materials these days. Different coloured yarns are woven with alternating stripes, which make blocks and they are repeated in vertical, as well as horizontal, pattern. Tartan is purely associated to Scotland and almost all Scottish kilts have this pattern. Plaid has pretty much same pattern of tartan but it is considered as a US/English fabric, woven vertically and horizontally from dyed stripes. Plaids have more variety in designs and can be unevenly printed as well. Geographical and historical backgrounds separate a tartan from plaid. 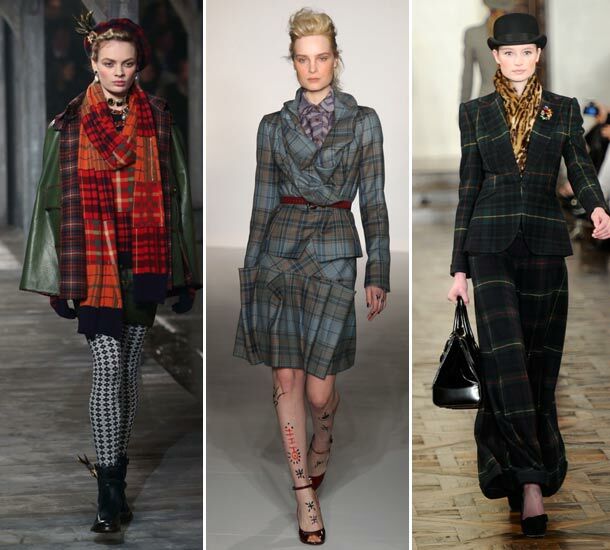 Tartan is specifically considered to be a Scottish fabric, with geometric designs and rich colours. According to many Scottish clans, every tartan pattern has a specific association with their history. Different tartans were used for identifying members of different clans in medieval times. Tartan is Scotland’s national dress and is worn on special days. It is not just a piece of fabric but is considered a mark of identification among Scottish clans. If a particular clan or family doesn’t have a traditional tartan, they can design a new one for themselves. Plaids have pretty much same designing as tartans but the difference comes in their variation. 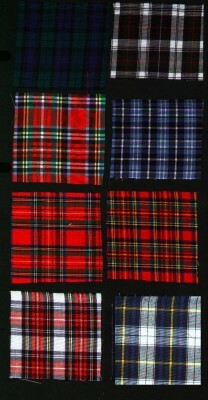 Tartans must be evenly printed but plaids are not bound to such limitations. They can have overlapping squares or lines interconnecting horizontally and vertically etc. A plaid is described as a shawl, made from wool and having horizontal and vertical patterns, in Scotland. Plaids were used as blankets in medieval times and were worn over other clothes to keep warm. Two pieces of 36-inch wide woolen cloth are sewn to make a plaid.